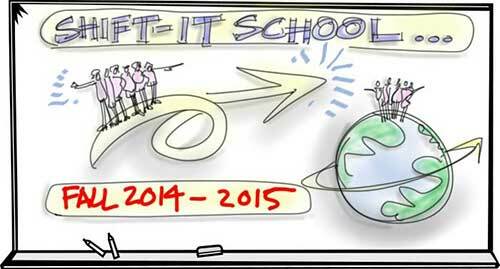 The current SHIFT-IT School semester is winding down. Wrapped Visual Coach Certification mid-month (the fabulous coaches-in-training have moved into the client hours phase of the program). And my Magic Marker Masterminders are coming next week for their final retreat (6 months has flown by and the shifts have been amazing!). Patricia, Theresa, Jessica and Elizabeth (my team whom I'm so appreciative of) have been hard at work refreshing our sites with the fall 2014 and 2015 schedule. Today I'm flying to Calgary, Alberta for another BodyTalk related training, called "MindScape". It's gonna teach me, among other things, how to do my BodyTalk sessions from a distance (the super cool thing about energy/consciousness medicine is it's not a requirement that we be in the same physical location). I'll be experimenting with this over the summer and will open up some distance slots in the fall (for my long-distance clients who have been wanting to get in on this fascinating protocol). 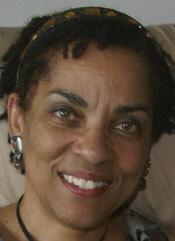 I CONSIDER SHIFT-IT A TIMELESS TREASURE, A GIFT TO MYSELF ON THE WAY TO BECOMING MY NEXT SELF. 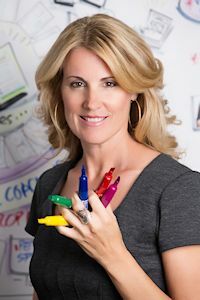 "My goal is to become a Certified Visual Coach® and part of certification is to experience The SHIFT-IT Visual Coaching System® as an individual from the inside-out. 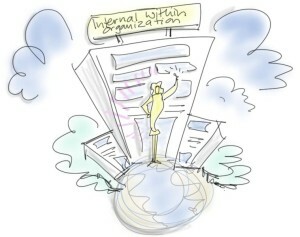 Because I am a Process Professional, have coached for several years and regularly spend quality time on self-reflection, I didn't expect any "new" information to emerge. My greatest ah-ha dealt with 'focusing'. You cannot desire something, predominantly focus on the absence of it; then expect to receive it. Yet, that was my re-occurring practice, in both my personal and professional life. Now when those thoughts come up, I immediately recognize the ensuing feelings; then stop and re-direct my thoughts to focus on what I do want and desire in my life. Thanks to Christina's work with the Law of Attraction, I also re-learned the concept of deliberate creation and the essence of allowing. I may think it but now know that I must also expect it by allowing it into my life. The it being whatever I want/desire in my life. I enjoyed working through the maps; some easier than others. The one that spoke to me most passionately was the Archeology of Beliefs. As I listened to the whispers of my ancestors, I could understand why, at times, I move through life with one foot on the brake and the other on the gas pedal. In today's hectic, non-stop, microwave environment, I consider SHIFT-IT a timeless treasure, a gift to myself on the way to becoming my Next Self." We've just refreshed my Private Coaching and Private Training pages ... come to Victoria, British Columbia, Canada to work privately in a customized retreat or training experience just for you and your unique needs. And/or receive your mentoring via my new distance sessions (now with tablet recording via web conferencing!). One to one attention for rapid acceleration. Some availability in July and the fall (none in August). Ready to get what you want?! My signature coaching group – gets you what you next want in your personal and/or professional life. You develop a crystal clear vision, unravel your resistance … and rapidly SHIFT your world. Practical real-world strategic planning coupled with leading-edge energy alignment --- all in my innovative 'Visual Coaching' style. Join this supportive community with other like-minded SHIFTers from across the globe. 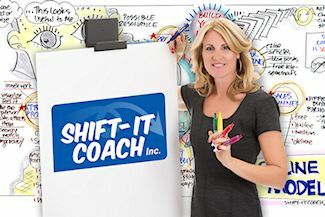 The SHIFT-IT Home Retreat Kit® with 17 visual maps is included, plus handy Repeater Option for those joining us again! Another client story from my coaching work with Process Professionals ... this one's about developing your niche and getting yourself out there as a content leader. My client is embedded in a well-known IT company. I think it was her first real job and she's climbed herself up over 15 or 20 years. She has a passion for female leadership and assisting young talent (female and male). She's smart, knowledgeable and a tad disgruntled. Her biggest driver is a desire to get her "IT" (it not I.T.) out there (to have programs and products like I do and use the web to attract her clientele). She's followed me and others who use a similar online marketing model ... and truth be told, she's thinks if I/we can do it, then she should be able to too.